I recently was invited to a presentation that author Tim Freke did here in my hometown of Encinitas. I was fascinated by the topic–“Soul Story-Evolution and Purpose of Life“, and I must admit that Tim’s talk was very compelling and thought provoking. I invited Tim to be on Inside Personal Growth to speak about his new book “Soul Story-Evolution and the Purpose of Life“. 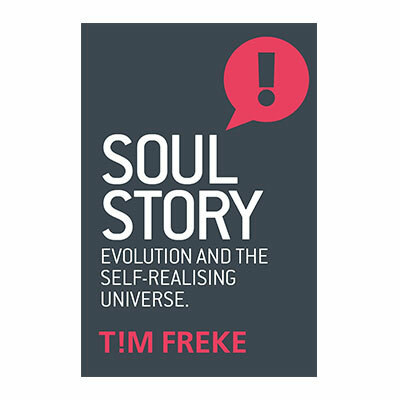 It is Tim’s contention that contemporary society is experiencing a ‘soul crisis’, caused by the cultural dominance of objectivist science and the demise of outdated religion, which has left us adrift in a meaningless universe. Now, whether or not you believe this isn’t as important as understanding what Tim proposes to medigitate the situation. His solution is a term called “emergent spirituality” which brings together the scientific theory of evolution with a fresh understand of perennial spiritual insights to reveal the deep purpose of life. There are new ideas that are brought to the forefront within “Soul Story” and they are the issues having to deal with time, soul, purpose, volition, death and magic. Throughout our interview we discuss these topics and the new ideas that Tim proposes we consider as a way to look at and incorporate these new ideas into thought. I know you are going to find this interview leaving you on the edge of your seats, so hang on and be open to taking a deep dive into the evolution of purpose and life.